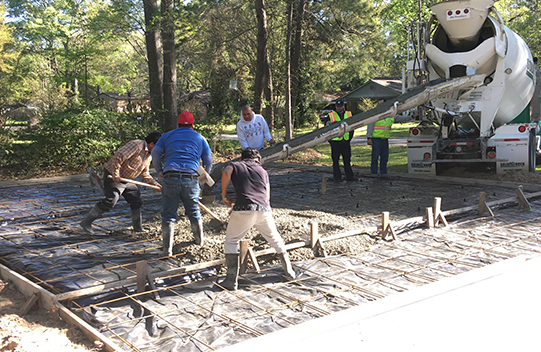 Concrete slab maintains a four inch thickness across the surface and features beams that measure a minimum of 12-inch x 12-inch. 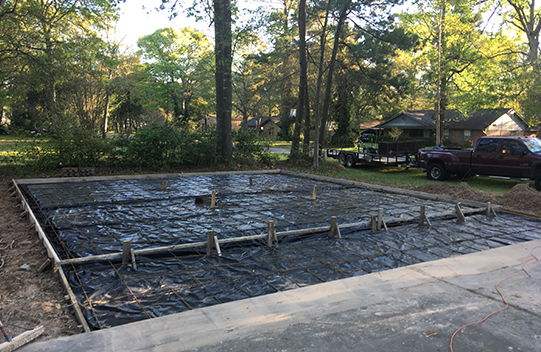 A moisture barrier is laid down; steel rebar is set 18 inches on center and in a grid pattern across the form. Rebar is elevated with “chairs” to insure that the steel will end up in the center of the 4-inch concrete slab. 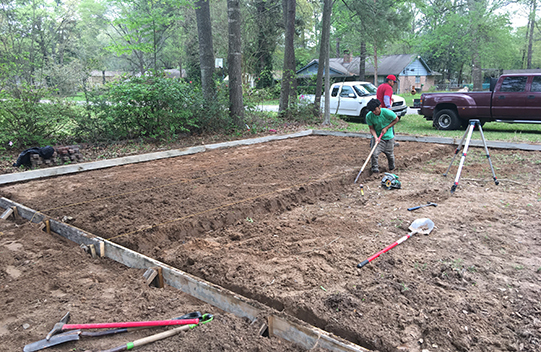 Beams are dug to a depth below the original soil line to eliminate the chances of surface water undermining the slab and causing it to fail. 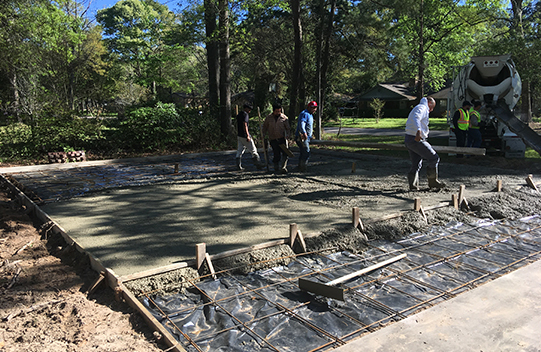 Once the concrete is tamped down and floated level, and anchor bolts are set in place, a power trowel is used to achieve a fine smooth finish on the slab. 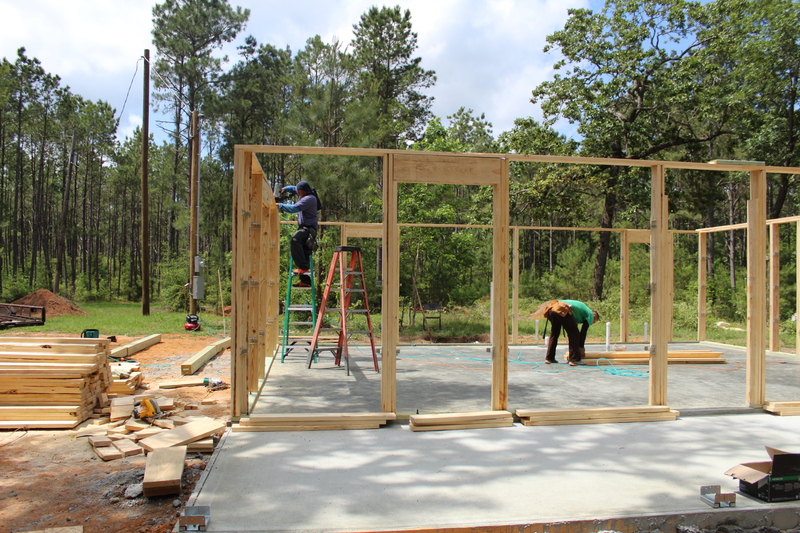 All framework is done in 2 x 6 #2 Southern Yellow Pine, enabling every wall to accommodate plumbing or electrical. 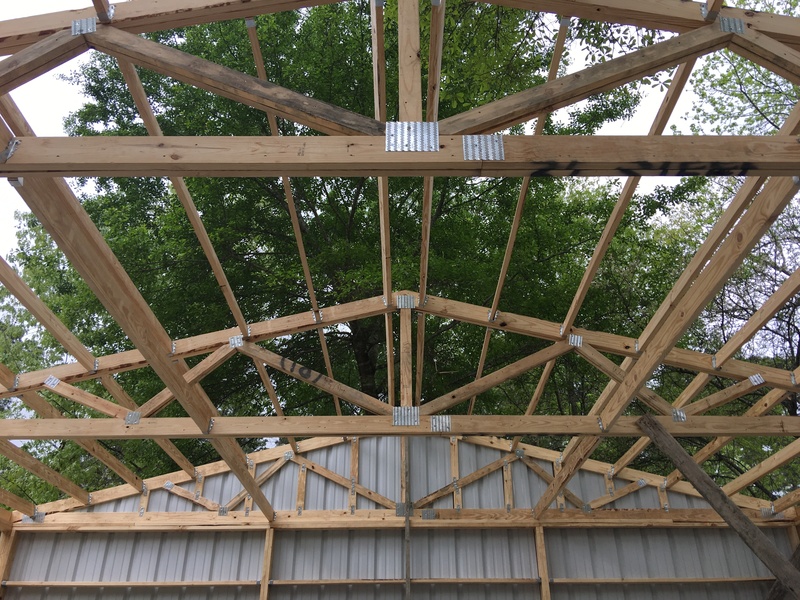 All wall supports (girts) and ceiling supports (purlings) are set 24 inches on center and are placed narrow side to the sheet steel for the maximum strength. 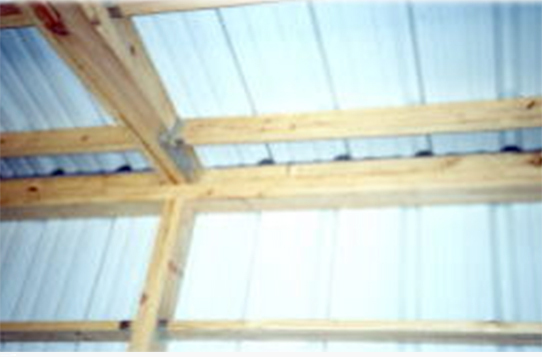 This type of framing allows for readily available roll insulation to be applied for an R factor of 19 of better, and makes the job easy and inexpensive. 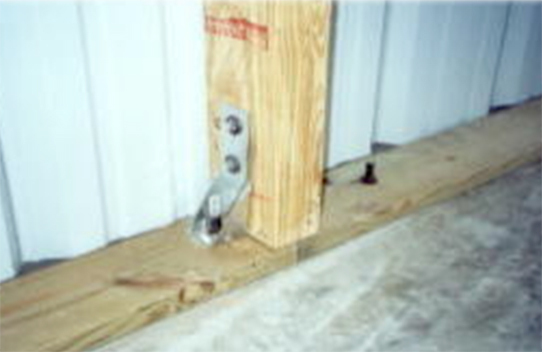 A treated bottom plate sits on top of the slab and bolted by anchor bolts set in the concrete approximately every four feet. 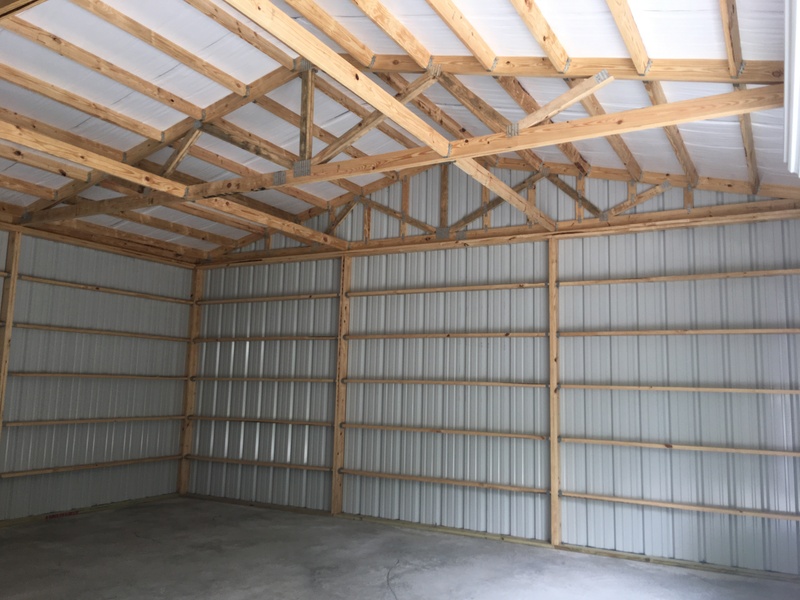 Vertical supports are double thickness 2 x 6 and are fixed to the slab utilizing H2DA Anchors, which are bolt bolted to the slab and lagged into the vertical support studs. 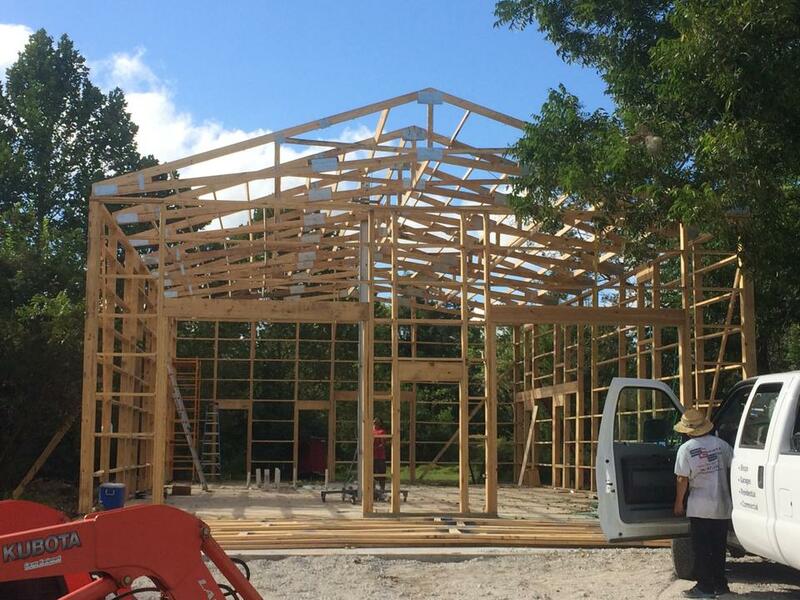 Double 2 x 6 top plates and lintels support engineered wooden trusses, which are fabricated using steel gusset plates. 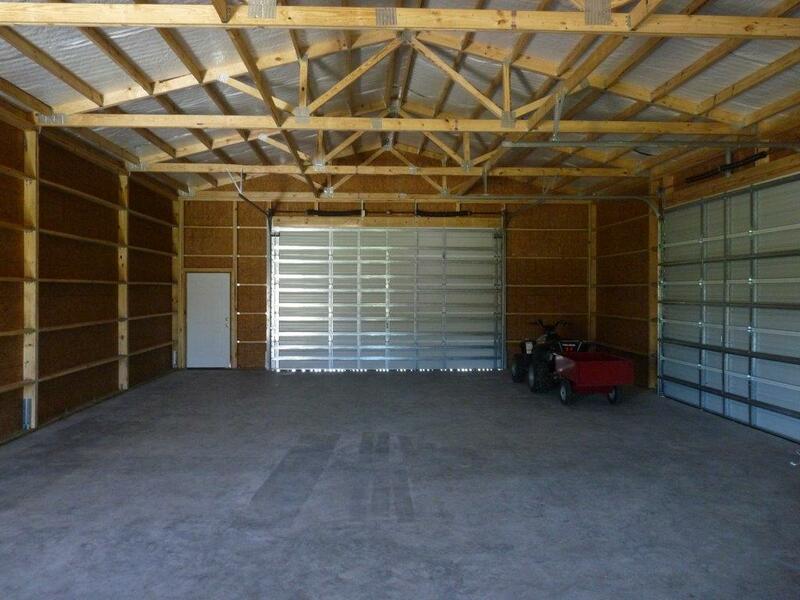 Each truss is engineered for the span and load desired for the particular building that it is to be used in. 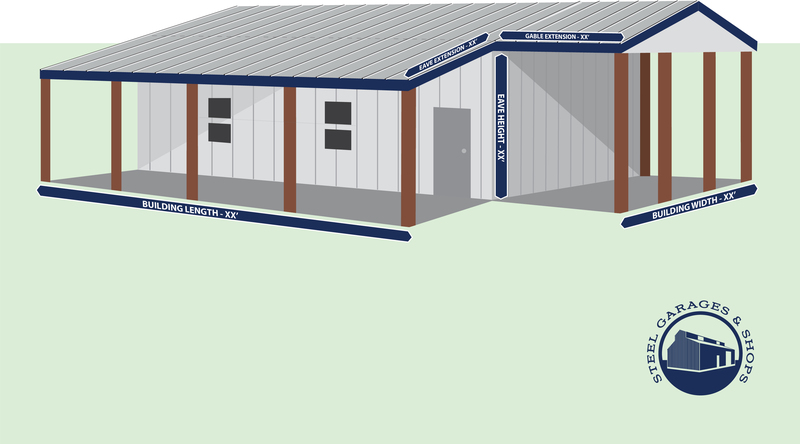 Each color available may be used for walls, roof, or trim.